Texas’s premier portrayer of creepy, weaselly dudes once played drums in Crucifictorious. It won’t come as a shock to Texas Monthly‘s regular readers that —seven years after it ended — we are still very enthusiastic about Friday Night Lights. We con our colleagues into watching the show with us, we track the successes of the cast’s alumni, we rewatch the show when we want a respite from the stresses of the real world to relax, in 44-minute increments, in the fictional West Texas town of Dillon. And it was on one of these not-infrequent returns to Dillon that eagle-eyed senior editor Abby Johnston observed something that sent ripples through our office’s unofficial Friday Night Lights fan club: the drummer for Crucifictorious — the best ever speed metal band in Dillon — was played by none other than Garland native and 2017’s busiest supporting actor, Caleb Landry Jones. According to IMDb, Jones’s character, Jimmy Adler, appeared in five episodes between 2008 and 2010. 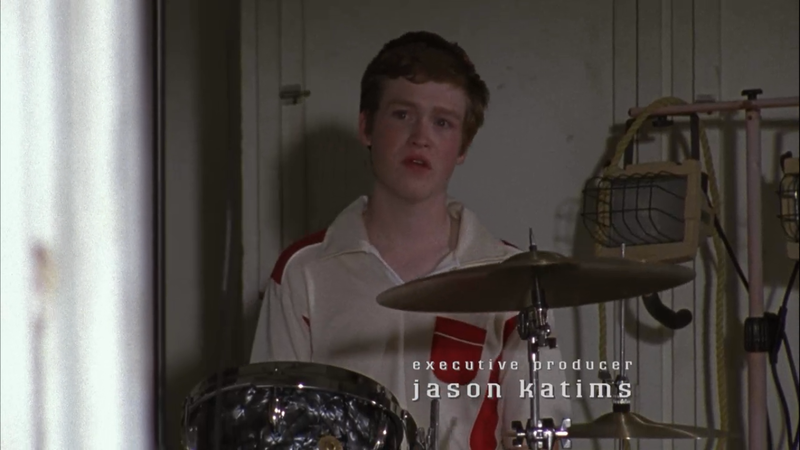 Jimmy wasn’t one of the more vital residents of Dillon (let’s be honest: even the most savvy FNL fans can’t name a single other member of Crucifictorious who isn’t scene-stealing tight end and frontman Landry Clarke). When Crucifictorious made a return appearance on NBC’s Parenthood in 2014, they replaced him with some rando and nobody was the wiser. If Jones as a round-faced teenager doesn’t look familiar, imagine him a few years older, with bad facial hair and shaggy hair. You may be picturing him in one of his many disconcerting roles from 2017: as Jeremy Armitage, the creepy brother in Get Out; or as JB, the creepy brother-in-law in American Made; or as Jack Hicks, the creepy son in The Florida Project; or as Red Welby, the creepy billboard owner in Three Billboards Outside Ebbings, Missouri; or as Steven Burnett, the creepy tweaker on Twin Peaks. He’s definitely got a character type, but it landed him parts in two of the Oscars’ best feature nominees in 2017. Jones is a gifted actor; all of those performances are transfixing, compelling appearances in which he holds his own against actors like Tom Cruise and Frances McDormand. It would stretch credulity for anyone to claim that they spotted Jones’s star power in his Friday Night Lights appearances — Jimmy Adler just doesn’t get a whole lot to do — but if you want to claim that you knew him back when, get ready to blow some minds when you mention his time in Dillon. Red Welby was NOT creepy — unless you define “creepy” as naive and in over his head. You are absolutely right, and the son in The Florida Project isn’t creepy, either. The Texanist: What Are the Ten Best Texas Movies?